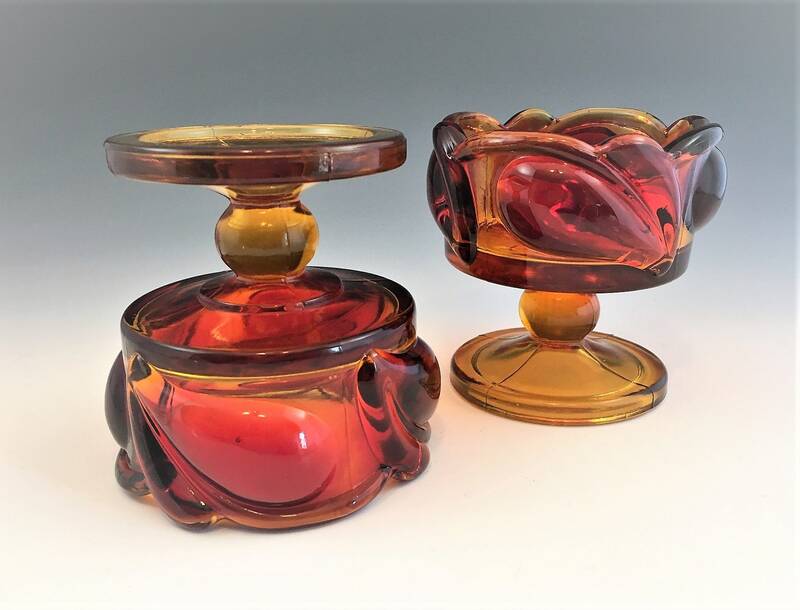 Featured is a stunning pair of candle holders from Indiana Glass. 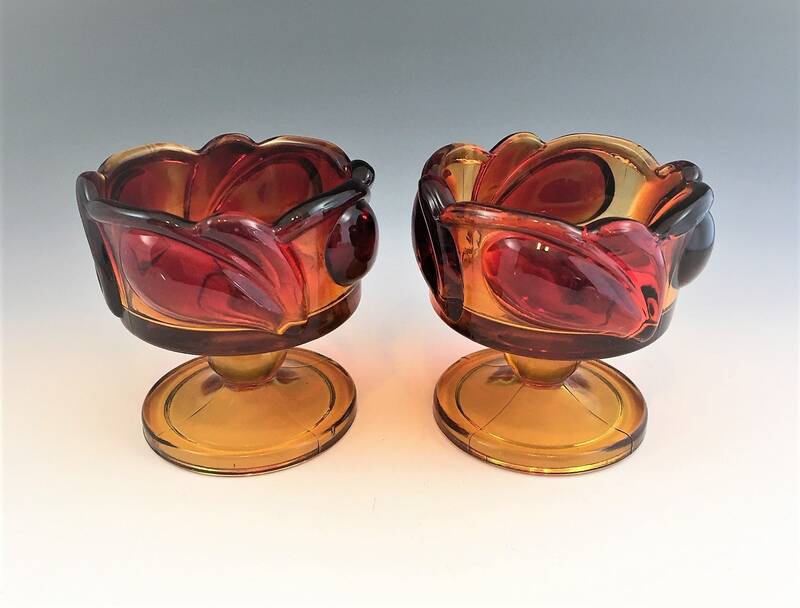 These pieces are from their Leaf pattern (line #1009) and are in the beautiful Sunset color. 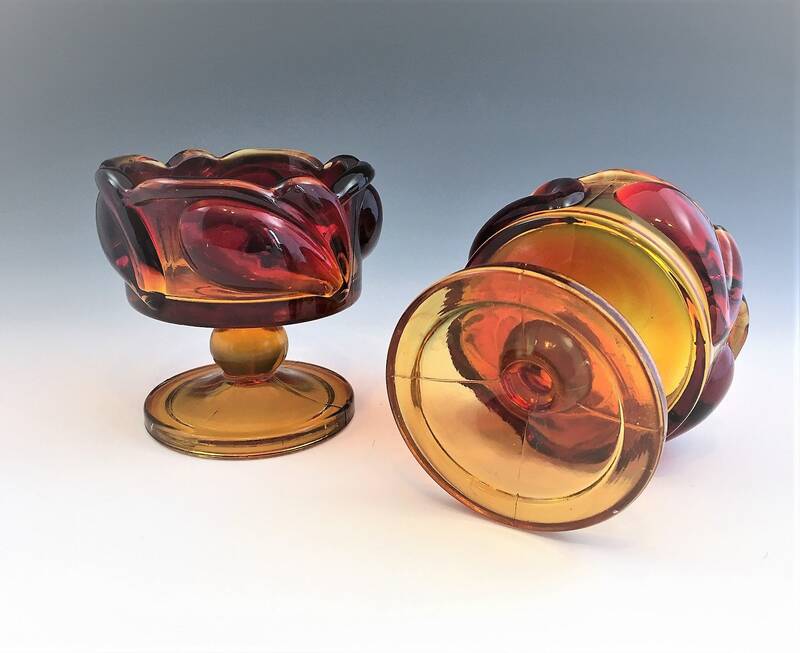 These amberina pieces measure about 4 inches tall and are about 3 3/4 inches in diameter. 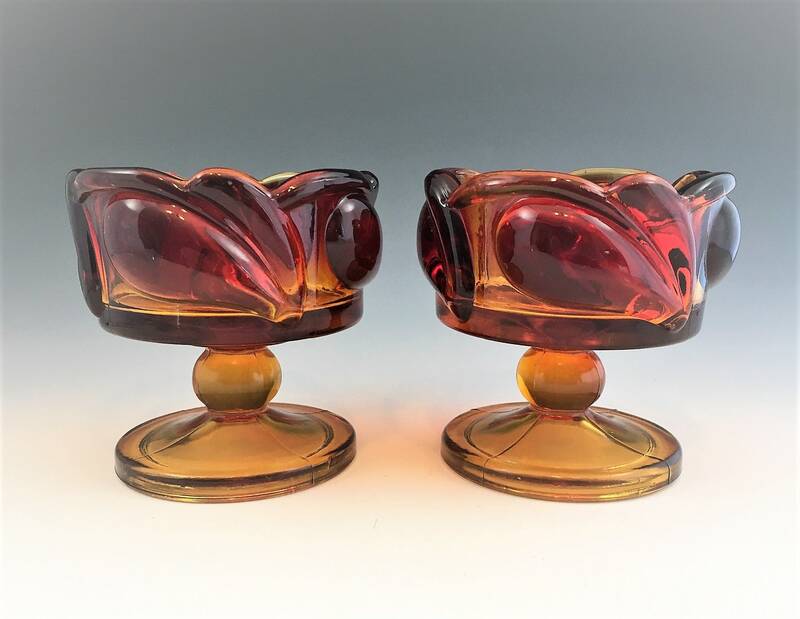 These heavy, versatile pieces may also be used as sherbet cups. Both are in excellent condition, free from any chips or cracks. Set of two offered here for one low price.